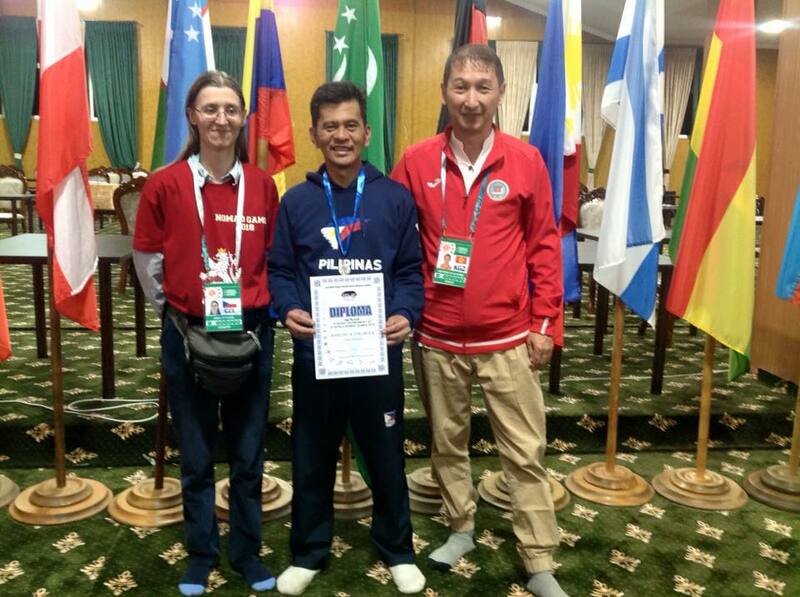 MANILA--The Philippines may have only sent one guy in this year's World Nomad Games. But that guy will go home with two medals. Rhon Palmera scored a silver and a bronze for the Three Stars and a Sun during his stint in the said biennial meet over the weekend in Kyrgyzstan. Palmera took the silver, which according to him "glitters like gold," in the toguz korgool event. Toguz korgool is Kyrgyzstan's own take of mancala, well known locally as sungka. He then captured the bronze in the yakutian intellectual table games. Palmera, an architecture graduate at Manuel L. Quezon University, calls on the Filipinos to continue supporting sungka. "Mga kababayan, wag po nating hayaang ito'y mabalewala. Ito po ay malaking karangalan sa ating bansa at lahi," Palmera said. "Atin po itong paglinangin pa at malaki ang potensyal nating mga Pilipino sa intelektuwal na larong ito."